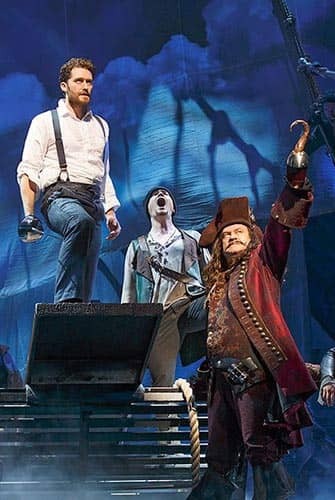 Get your Finding Neverland on Broadway tickets before you travel to New York. Buying your theatre tickets online is easy and it saves you valuable time. 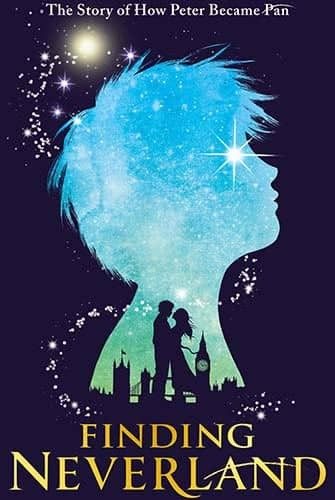 All of us have an inner child, and that’s why you should head into the Lunt-Fontanne Theatre to see Finding Neverland! This new Broadway musical is inspired by J.M. Barrie’s books and his beloved character Peter Pan. The show, however, is about the story behind the books, and the way Barrie was influenced by Sylvia Davies and her sons to create the wonderful world of Neverland, where children don’t grow up. So follow the directions “second star to the right, and straight on till morning,” and be ready for the magic! J.M. Barrie is a playwright going through bad personal and professional times. The relationship with his wife is not going well, and his last play wasn’t successful at all. His inspiration seems to be gone forever, but when he meets Sylvia Davies, a widowed mother of four children that dream of flying, everything starts to change. Sylvia used to tell her children that birds can fly because they have faith that they will be able to. Peter, the smallest one, believes this to be true. This fact makes Barrie reconnect with his inner child and create a new world for Peter and his brothers: Neverland, where children don’t grow up, magical creatures exist and people can fly just by believing … and maybe with a bit of fairy dust, too! Don’t go to Broadway expecting to see Disney’s Peter Pan. The visuals are impressive, the songs are moving, but Finding Neverland is inspired by the real story behind the writer J.M. Barrie. There is magic, a flying Peter Pan and Captain James Hook, of course, but it’s mostly about family hardships. 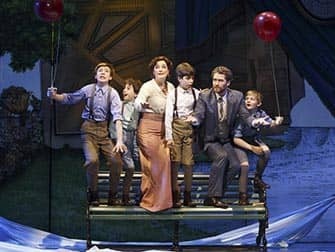 Finding Neverland is a musical that will make you laugh loudly, feel nostalgic, get goosebumps and tap your toes. It is all about the power of imagination, discovering the child that lives inside you…and not wanting to let him go! 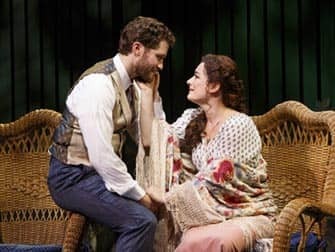 How to buy Finding Neverland on Broadway Tickets? Eric’s Tip: You and your children will want to fly to Neverland and stay there forever after seeing this musical! As I mentioned, it’s not like the Disney movie, so don’t expect that. Captain Hook might seem a bit scary but with the child actors and a real dog on stage, this will definitely be a fun night out in New York for the whole family. Don’t want to see Finding Neverland?